 I think foxpoint is a grate place to livesubmitted by Lisa S. - Apr 14, 2019 |Recommended: YesIt's a friendly apartment complex with kids that find other kids to play with. Staff are very respectful maintenance fixes things very quickly. front office staff are very friendly and very helpful. They care about their tenants. I would recommend to my friends..
Quiet Communitysubmitted by Bernadette P. - Apr 04, 2019 |Recommended: YesI do like living here, the community is quiet, neighbors friendly. I don't like that we are charged for trash pick-up and renters insurance when I had an active renters insurance policy that was part of a bundle discount with my car insurance and now we also have to pay for gas. Therefore the 3 additional add-on is additional increase to the rent. The trash bin on my street definitely need to be fence enclosed because it overflows and lot and it is an eyesore when coming into the street. The office staff is very nice and professional, I did have the opportunity of speaking with a staff person about the additional fees. Maintenances are very friendly and whenever I had requested repairs they were don't within 24 hrs. It's quiet overallsubmitted by Melissa B. - Mar 01, 2019 |Recommended: YesIt's quiet, the apartments are spacious, and SOME of the leasing office staff is pleasant. Expensivesubmitted by Maria B. - Feb 12, 2019 |Recommended: YesIs Great place to live if you don’t have annoying neighbor harrasing you, peaking on there balcony and taking pictures everytime I take my dog out or I open my back door. Then will call the main office just make stories. Sometimes you just ignore crazy person. Rather than that is safe place to live. maintenance is great. Especially Sam. Expensive but is worth it. Main office staff is very understanding. We are loving it. Quiet for the most part...very happy and thankful to be here.submitted by Susan D. - Feb 05, 2019 |Recommended: YesI would tell them it is awesome, convenient, reasonable and well run. Staff is easy to talk with, and responsive. Maintenance is great, very responsive and thorough. Would love to have numbered parking spots, but it has not been too bad. I can hear my neighbors walking upstairs...sounds like they might fall through sometimes, ha. But it has not kept me from sleeping, so I am getting used to it. This is the 3rd time living here and it only gets bettersubmitted by Stacie C. - Jan 04, 2019 |Recommended: YesLike it was your own place. Nice, but needs some updatessubmitted by Sandra D. - Nov 09, 2018 |Recommended: YesNot too happy with the curb appeal. I'm not sure why some residents have new white doors and have new screen doors some while other residents still have old tan color doors. All of the old doors and or screen doors need to be replaced as soon as possible.My bathroom fixtures need to placed as well. For the most part its a pretty neat place to live, no real issue here. The pool area is great as well. Everyone seems to be friendly here. I referred a friend here, she loves it. I absolutely love it in this community which why I have resided her for so long.submitted by April B. - Oct 23, 2018 |Recommended: YesI often encourage Rowan medical students to stop by the office and ask for additional information, and perhaps a tour, especially for those who are not from New Jersey. Loving my new residencesubmitted by Bernadette P. - May 20, 2018 |Recommended: YesI just move here last month and I am loving my 2 bedroom home. I have had 2 maintenance request which immediately were taken care of . The neighbors are friendly ,and its quiet. The only complaint ,I have watch tenants on two occasions walk their dog in the back of my apartment which is a nice green grass area poop and it was not cleaned up by the owner. This is an area where little children play and parents walk their little ones so it would be nice if pet owners clean up what their dogs are releasing . On the positive side I have seen others tenants who have their bags when walking their dog and they do clean up. Need to do a better job of responding to maintenance requests pertaining to the grounds. submitted by Thomas V. - May 13, 2018 |Recommended: YesI have taken the time and spent the money in an effort to make the community and the exterior of my unit look nice by buying and planting a flower garden. the rain gutters above the garden are completely clogged and need to be serviced and cleaned. the water pours out of the gutters and into the garden that I have spent time and money to create. It then floods my porch area. I have requested that they be cleaned once already and that was several weeks ago. I am again requesting that they be cleaned. The flowers that I have planted are now almost ruined. If you want your residents to take some pride in their community then efforts should made by the management to do the same.